For those looking to pursue a management career at the tech end of the business world, Computer and Information Systems Manager may be a promising career to pursue. The U.S. Bureau of Labor Statistics estimates the growth rate for this job at 12 percent over the next eight years. But, are you not sure where to begin? Below, we’ve put together a guide to help you determine if this is the career for you. The Computer and Information Systems Manager (or IT Manager) runs the company activities related to computers and tech. They must assess the needs of an organization to determine the appropriate hardware and software to both meet demands of and enhance the efficiency of company business. In addition to installing and maintaining hardware and software, IT Managers must stay abreast of new tech developments so that they can pitch ideas to upper-management should they identify an opportunity to implement technology that would advance the company’s mission. The IT Manager also directs and organizes the efforts of the lower-level positions in the IT department. There are different types of Computer and Information System Managers, so duties may be more specifically tailored depending on the specific title. For example, an IT Security Manager would work with the tech as it pertains to protecting an organization’s security interests. IT Managers possess solid analytical skills. People in this role need to be able accurately evaluate a company’s needs and determine which products would enhance productivity. They must also be able to analyze any tech and management issues to ensure that their department runs smoothly. They are solid, decisive leaders and creative thinkers. Communication skills are essential, as IT Managers must communicate directions to those working under them, as well as deliver presentations to higher-level execs. 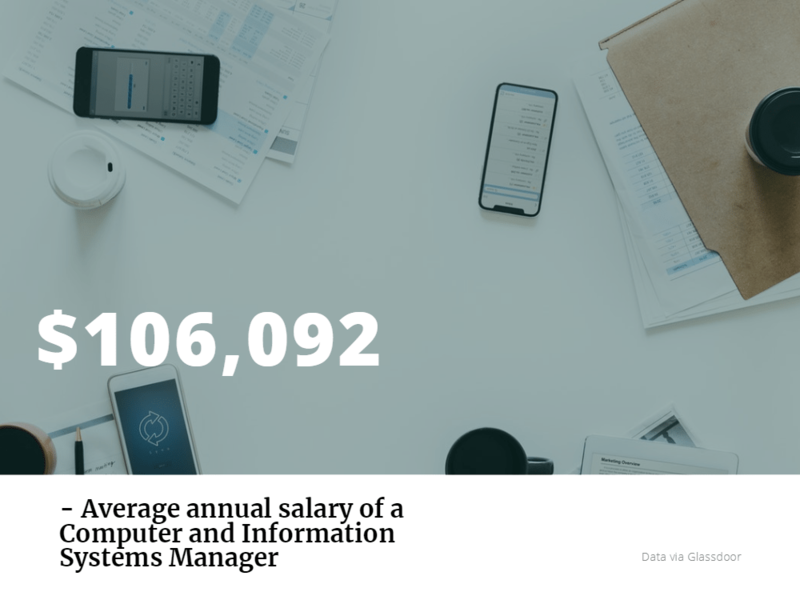 In 2017, the average base pay for a Computer and Information Systems Manager, according to Glassdoor, was $106,092 in the United States. The minimum degree requirement for a Computer and Information Systems Manager is generally a bachelor’s with a tech-related major. However, according to the U.S. Bureau of Labor Statistics, companies often require graduate degrees, and earning an MBA could prove to be a huge asset. If you are looking to pursue this title, it may be beneficial to start with entry-level tech positions in your field to gain a few years of experience before applying to a manager position. It should come as no surprise that MIT Sloan tops the list of best Information Systems programs. MIT has long been hallowed ground for the technologically-inclined, so it makes sense that the school’s MBA program also caters to those with a bent toward tech, with 26.2 percent of the 2017 graduating class pursuing careers in the software and internet industries. McCombs, which has a nationally-ranked MBA in Information Systems program, is a desirable choice for the STEM-savvy. According to the McCombs employment report, 30 percent of the class of 2016 pursued jobs in the tech industry. Georgia Tech’ Scheller College of Business is an excellent choice for aspiring IT Managers. Forbes states, “Because many students are interested in more quantitative and technical areas, such as operations management and information technology management, Scheller is often viewed as a heavily quantitatively based program.” Roughly 21 percent of the Scheller class of 2017 landed tech-related jobs. 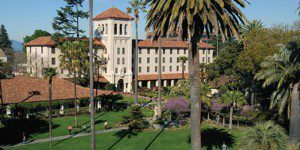 For Silicon Valley hopefuls, the Leavey School of Business may be a wise school to consider. With flexible options like the Online and Evening MBA’s, Leavey allows students to tailor the program to their schedule. This may be desirable for those trying to balance internships or work and family life.